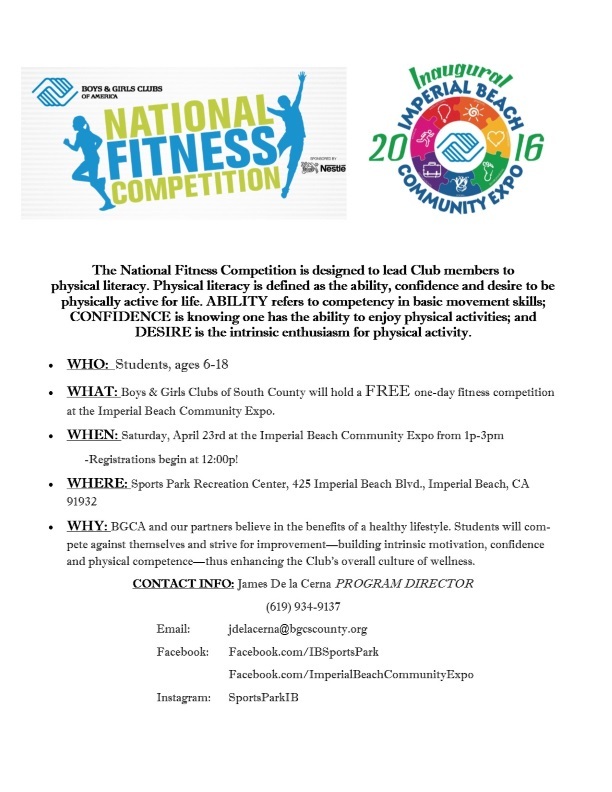 National Fitness Competition to be part of Imperial Beach Community Expo 2016 at IB Sports Park. Expo runs from Noon to 4pm and the National Fitness Challenge will run from 1pm to 3pm. While the Expo is designed for all ages, the National Fitness Competition is for ages 6 to 18 years if age. 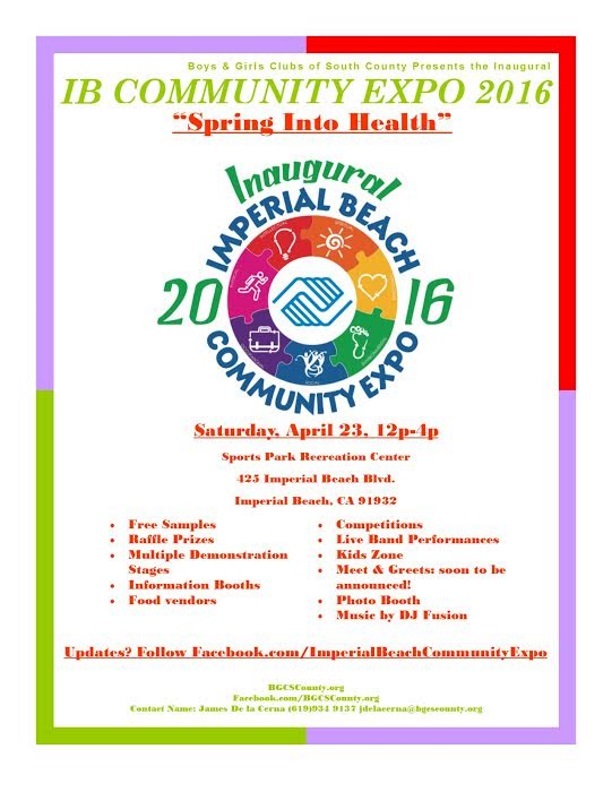 Events and Expo are brought to you by The Boys & Girls Club of South County!